Training can be conducted on site for more than 3-6 trainees or, if you only have 1 or 2 trainees, open courses are arranged regularly. Identification of faults and defects which can be easily remedied. Identification of faults that require specialist repair. Correct use and identification of cutting head. 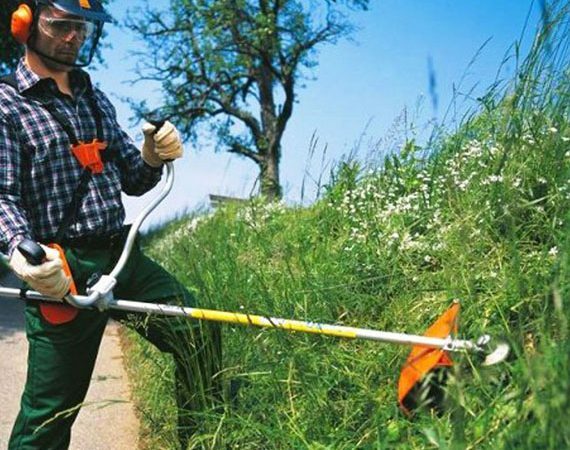 Correct mixing of fuel to enable hot or cold start of brush cutter in a safe manner. Operate brush cutter safely for operator, public, property and consideration of environmental issues. Systematic planning of working operation. Effective use of manufacturers manual. This Lantra integrated training and assessment course provides delegates with a skills card and Lantra certificate upon successful completion.